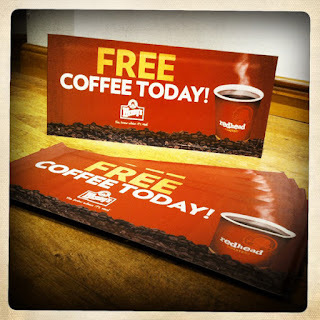 If you happen to be in downtown New York City any time soon, check out your local Wendy's for a free coffee. Tell them I sent you, it'll be fine. business card, come & get one!